United States authorities have described Pakistan's powerful Inter-Services Intelligence agency as a terrorist organisation and considered it as much of a threat as the Al Qaeda and the Taliban, according to a secret document that also names Lashkar-e-Tayiba, Jaish-e-Mohammed and Harkat-ul-Jihad-al-Islami. Recommendations to interrogators at Guantanamo Bay rank the ISI directorate alongside Al Qaeda, Hamas and Hezbollah in Lebanon as threats, The Guardian reported quoting secret US files obtained by it. "Being linked to any of these groups is an indication of terrorist or insurgent activity," the documents dated September 2007 said. "Through associations with these organisations, a detainee may have provided support to the Al Qaeda or the Taliban, or engaged in hostilities against US or coalition forces in Afghanistan," the document said. 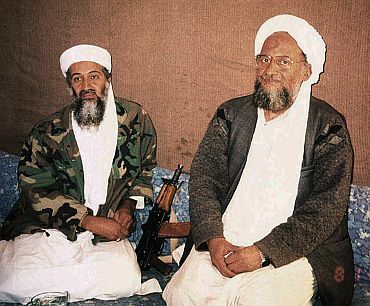 A New York Times report quoted a document as saying that detainees associated with the ISI and the militant groups "may have provided support to the Al Qaeda or Taliban, or engaged in hostilities against US or coalition forces". The document provides "indicators" to officials to determine a "detainee's capabilities and intentions to pose a terrorist threat if the detainee were given an opportunity". It lists 36 groups and organisations as "terrorist and terrorist support entities". Besides LeT, blamed for Mumbai attacks, JeM and Harkar ul-Jihad, which have carried out blasts in India, other Pakistan-based groups in the list are Ansar al-Islam, Harkat ul-Mujahideen and the Markaz Dawah al-Irshad, the erstwhile political wing of the LeT. There was no official word from Pakistani authorities on the development. The revelation has come at a time when ties between the US and Pakistan and their spy agencies have been strained by several incidents. The relations plunged to a new low after Central Intelligence Agency contractor Raymond Davis gunned down two Pakistani men in Lahore in January. Davis was freed after over two million dollars was paid to the families of the dead men in March but ties took a turn for the worse due to Pakistan's angry opposition to a US drone strike carried out a day after Davis' release that killed over 40 people. 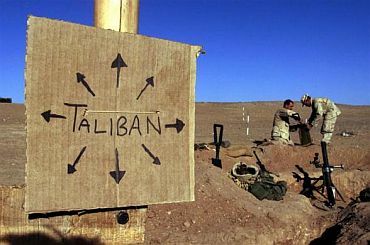 The fresh revelation on ISI links with terror groups, The Guardian said, comes on the heels of its own "published evidence" that US intelligence services had been receiving reports of ISI support for the Taliban in Afghanistan for many years. Last week, US Joint Chiefs of Staff Chairman Admiral Mike Mullen warned that the ISI's continued links with the Haqqani militant network are at the core of Pakistan's strained and problematic relations with the United States. The LeT is more than an anti-India terror group as it has "global aspirations" and has extended its reach to the West, Mullen told the Pakistani media in Islamabad. 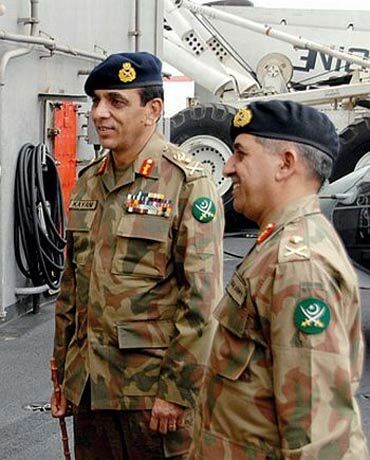 Pakistan Army chief Gen Ashfaq Parvez Kayani dismissed Mullen's remarks as "negative propaganda" while chief military spokesman Maj Gen Athar Abbas said Pakistani authorities had no evidence suggesting that the LeT has global aspirations. In the Threat Indicator Matrix in the new document, the ISI is listed among 36 groups including Egyptian Islamic Jihad led by Al Qaeda deputy leader Ayman al-Zawahiri, the Sabotage Battalion of Chechen Martyrs, the Iranian intelligence services, and the Muslim Brotherhood. Though the document dates from 2007 it is unlikely the ISI has been removed from the current Threat Indicator Matrix, the report said. 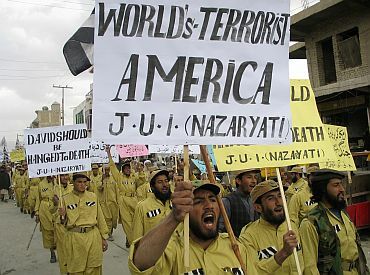 In classified memos outlining the background of 700 prisoners at Guantanamo there are scores of references, apparently based on intelligence reporting, to the ISI supporting, co-ordinating and protecting insurgents fighting coalition forces in Afghanistan, or even assisting the Al Qaeda. 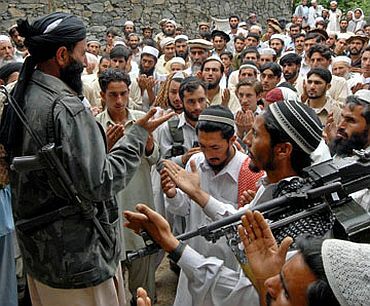 Pakistani authorities have consistently denied any links with insurgents in Afghanistan or Al Qaeda. The revelation that the ISI is considered as much of a threat as Al Qaeda and the Taliban will cause fury in Pakistan, it said. "It will further damage the already poor relationship between US intelligence services and their Pakistani counterparts, supposedly key allies in the hunt for Osama bin Laden and other Islamist militants in south Asia," the newspaper said. The details of the alleged ISI support for insurgents at the very least give an important insight into the thinking of American strategists and senior decision-makers. Many documents refer to alleged ISI activities in 2002 or 2003, long before the policy shift in 2007 that saw the Bush administration become much more critical of the Pakistani security establishment.